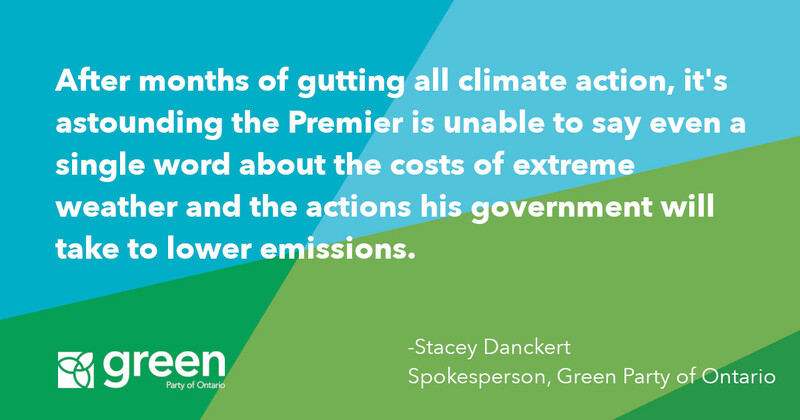 The government’s decision to join the pointless carbon lawsuit against the federal government is another sign that Premier Ford prefers to rule by ideology over evidence. And he is using taxpayers’ money to fuel his agenda. “Premier Ford is wasting taxpayer money jumping on a bandwagon that is going nowhere. 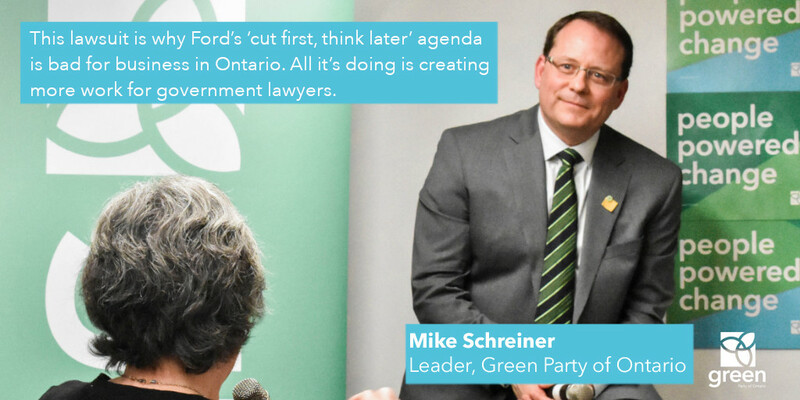 His losing legal battle will be good for lawyers and bad for people,” said said Green Party Leader Mike Schreiner. Nearly all of the legal analysis has pointed to Trudeau’s constitutional authority to enact carbon pricing legislation. This is why other provinces have avoided joining the legal fray. 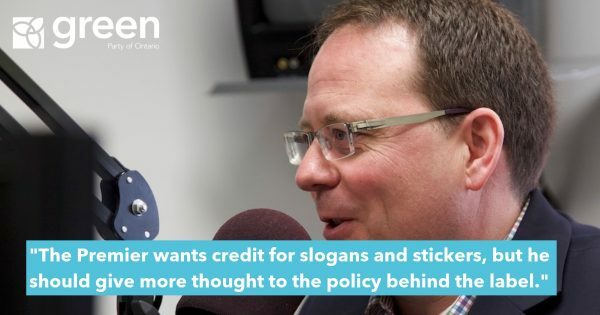 “The people of Ontario are paying the price for Premier Ford’s personal legal battle that puts ideology over the truth,” said Schreiner. 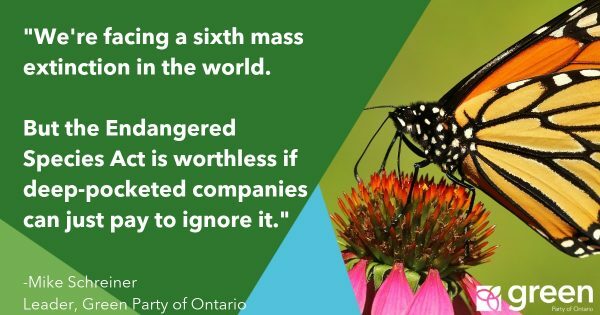 Ontarians continue to foot the bill for Ford’s efforts to roll back the clock on everything from sexual health to climate change to undermining local democracy. 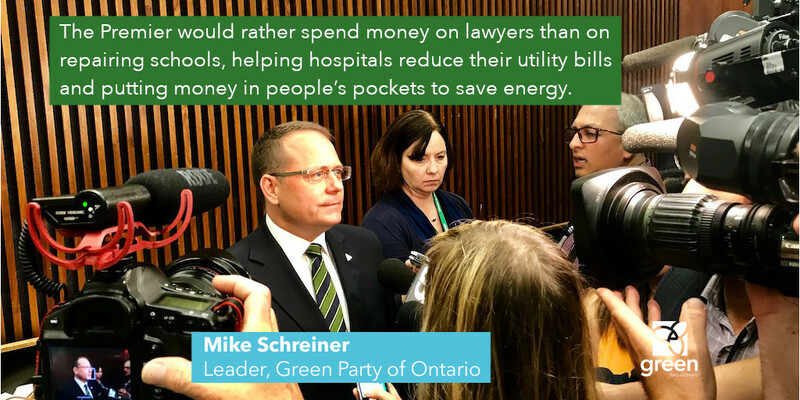 “The Premier would rather spend money on lawyers than on repairing schools, helping hospitals reduce their utility bills and putting money in people’s pockets to save energy,” said Schreiner. 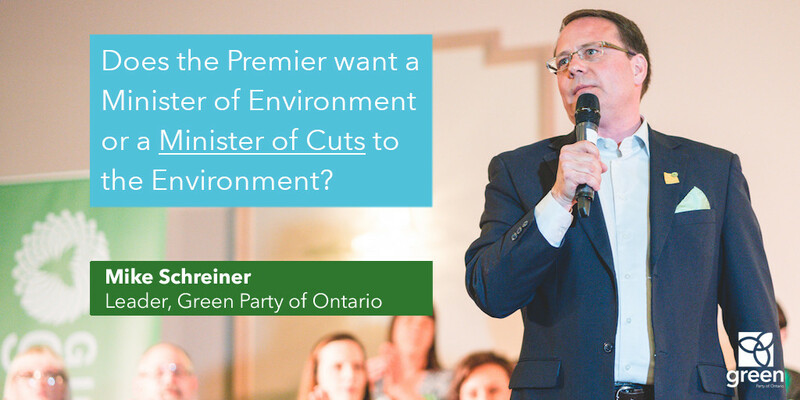 Instead of showing the people of Ontario a real climate plan to reduce pollution and support jobs in the $7 trillion clean economy, this government would rather fight it out in the courts to dial back progress. “The people of Ontario cannot afford this frivolous lawsuit. 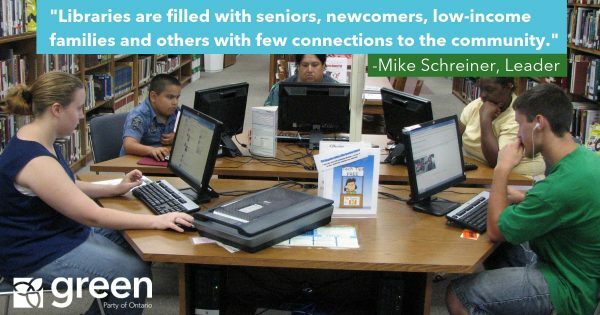 And they cannot afford to be abandoned on climate change while wildfires, extreme storms and flooding cost us $4.9 billion annually,” said Schreiner. “The reality is that carbon pricing works. The four strongest economies in Canada have all put a price on carbon – Alberta, Quebec, British Columbia and Ontario – and leading economists say it is the most cost effective way to reduce pollution. But the Ford government clearly isn’t motivated by the truth,” said Schreiner.